Top Ten Tuesday is hosted by the wonderful The Broke and The Bookish. 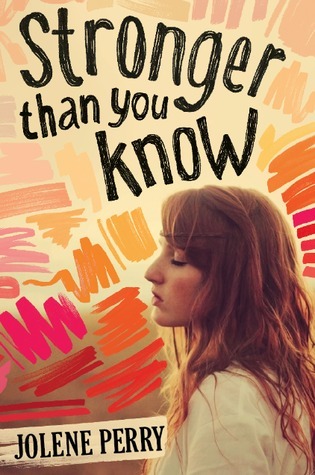 This week’s list are the Top Ten books which feature characters dealing with mental illness. I’ve decided to feature mental illness on my list this week, as I’ve recently been pleasantly surprised with how the topic is represented in literature. I’m not saying that authors always get it right, but it’s an important topic to be explored. 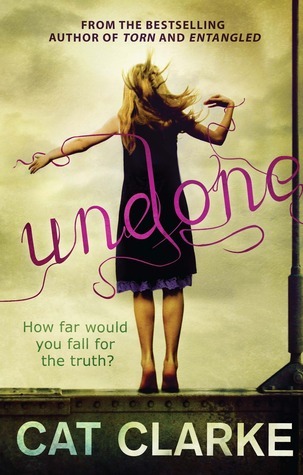 I really enjoy Cat Clarke’s books and Undone really impressed and shocked me at the same time. It deals with the aftermath of the main character’s best friend killing himself after being outed as gay. Laurie Halse Anderson is an amazing writer. I truly recommend her books! Wintergirls deals with eating disorders. It’s an incredibly powerful read. Speak is the first book I read from Laurie Halse Anderson. The main character in this book is suffering after a terrible event. This book is about depression and suicide. Handled in a very sensitive manner. Some of the descriptions are so powerful in this book. It really made an impact on me. This is yet another powerful read. The reader learns about the main character’s fall into mental illness. Highly recommended! I was really intrigued to see what Cynthia Hand’s contemporary work would be like. I was impressed. 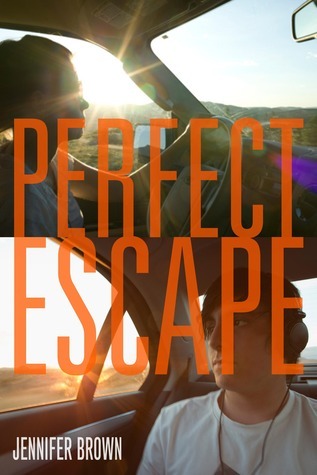 This book deals with the consequences of a family member taking their own life. In this book, the main character’s brother suffers from OCD. She takes him away from his everyday life and his routines/rituals. They really go on a journey (cheesy, sorry! 😉 ) together. I loved this book! I haven’t seen the movie adaptation but I’ve read the book! It’s so interesting to see the world from the main character’s point of view. A thought provoking book. I didn’t expect to love this book as much as I did. The main character suffers from panic attacks admidst other problems. She finds inner strength. I was touched by this book. Another beautiful book that completely exceeded my expectations. It deals with the aftermath of an eating disorder and the aftermath of terrible events. Have you read any of these books? What did you think? What have you picked for your list this week? Feel free to leave a link to your post and I’ll stop by! Thank you Anjeline. I think it’s really important that mental health is represented and these books do a wonderful job! Looking forward to having a peek at your list soon! I haven’t read any of these books yet. 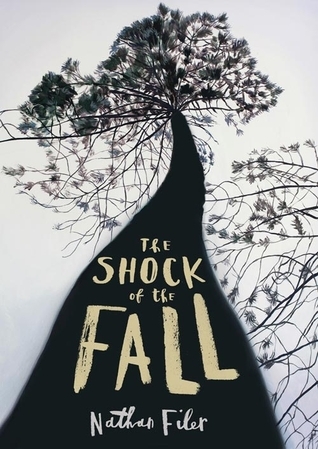 However, The Shock of the Fall is in my TBR list. The Shock of The Fall is a wonderful book. I hope that you enjoy it! 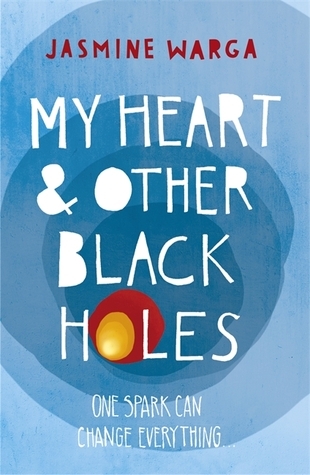 I’ve read Speak and My Heart and Other Black Holes and loved both of them! I’m waiting for Made You Up to come out. I’m really hoping that it’s as good as it sounds. I’m glad that you loved both of them. I think they’re wonderful reads. Fingers crossed for Made You Up! *gasps at the sight of The Shock of The Fall……..
😀 You’re very welcome. I love to share the book love! I haven’t read any of these yet, but The Last Time We Say Goodbye and My Heart and Other Black Holes are hovering in my tbr pile. Great topic choice! They are both fabulous books. I hope that you enjoy them. I wanted to do a topic similar to this but I couldn’t think of enough books, so I’m glad you’ve pointed some out for me! 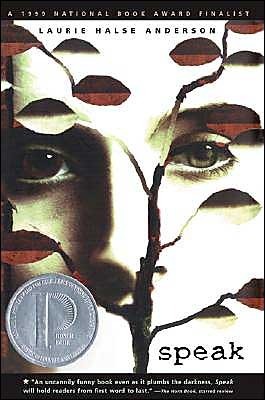 Laurie Halse Anderson does a FANTASTIC job of featuring different forms of mental illness in her books. Have you read The Impossible Knife of Memory yet (also by her)? It deals with PTSD. Oh I have! It’s a fantastic book ❤ I really think she's fantastic for representing menal illness. I hope you do manage to check some out. They’re fantastic. So good to see a list looking at mental illness. Some really fantastic choices on here, thank you for sharing. Fantastic list 🙂 I’ve seen a few with this theme so there are some familiar titles up there. 🙂 I’m glad that it’s being represented so much! I’ve only ever read The Shock of the Fall (especially loved the ending) and Silver Linings Playbook is somewhere on my shelf, but Undone really caught my attention and I’m surprised I’ve never heard of it before. Definitely going to check it out at some point! I highly recommend Laurie Halse Anderson. She’s fantastic. Coincidentally, I did mental illness as well but none of our books overlap! I did not think of Wintergirls or Speak. I could see Wintergirls immediately but had to think about Speak, but you’re absolutely right! Good list! I need to add some of your titles to my infinite tbr list. Thanks Brenda! 🙂 Laurie Halse Anderson is great for writing about mental illness! Really awesome list – Haven’t read any but there are a few on my TBR and a few more I will definitely check out now. I’m pleased to raise awareness for such wonderful books! Excellent list and wildly, I have only read a few here. Although I adore all of Matthew Quick’s books and think he manages a variety of books that fall into mental health awareness. Also, I am partial to Ned Vizzini’s It’s Kind of a Funny Story because my daughter really related to it. Also, I loved Perks of Being a Wallflower, Fangirl and Girl, Interrupted. My Top Ten Tuesday List featured characters who should be on stage. After reading your list, I sort of wish I had tackled the same as you. These are such good books to be sharing. Awesome list. I will check out some of these books. I think my favorite though is All The Bright Places. Thanks Cynthia! 🙂 That book is wonderful. I haven’t read any of these books, but they look like they deal with sometopics that should be talked about more. This seems to be a really popular list this week. 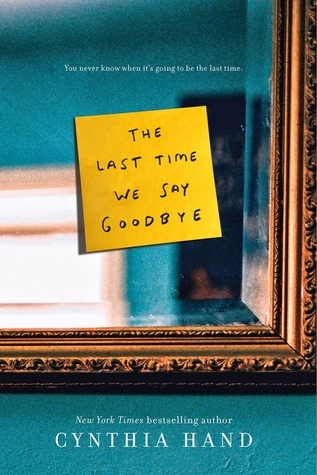 I am really interested in reading Speak, , My Heart and Other Black Holes, and The Last Time We Say Goodbye. You’re welcome Jazmin. Thanks for the return visit. I think it’s a very important subject to be speaking about. I’m pretty pleased to see so many books out there covering all kinds of mental illness. It educates people who still think that if you have a mental illness then you must be a total psycho who wants to stalk and kill them. Having suffered stress and depression since 2002, I feel the more we talk and debate these things, the more understanding people will get. Books are a great tool for provoking that debate. Great choice of topic! Thank you. I completely agree with you. I suffer from anxiety, and hate mental illness being misrepresented! 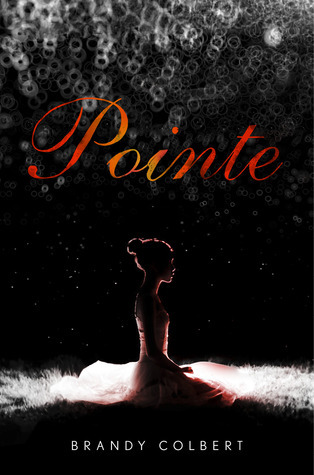 I’ve read both of the Laurie Halse Anderson books and Pointe, all three of which were so well done and so heart-breaking. There are a lot more on your list that I’m hoping to read soon. I really hope that you enjoy them! Great list, I’ve read a few of them. Good job not giving any spoilers with Speak. Stronger Than You Know and Undone both sound really good!! I also love LHA! ALl her books have become favorites of mine. 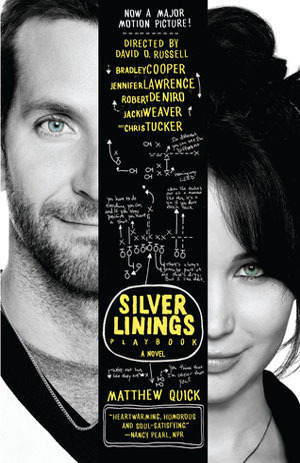 I’ve read Silver Linings and I’ve seen the movie and I have to say: the movie is SO much better!! You should definitely watch it. JLaw is so good in it. I hope you get chance to try Stronger Than You Know and Undone! They’re both fantastic. I will try watch the movie soon! I think this is the second post with this topic I’ve come across, and you’ve mostly chosen different books. I had no idea so many authors were (finally) tackling some of these illnesses – well, other than depression and eating disorders. It’s good to see. It’s really good to see. I love that mental illness is being represented! Speak is a very powerful book. I really want to read My Heart and Other Black Holes and Wintergirls. You’re very welcome Inge! 🙂 I hope that you enjoy these books. I still need to read Wintergirls but I love Speak. Awesome list you have this week. Thanks Nicole! 🙂 I’ve really enjoyed these books and love to see mental illness being represented! Great list. I’ve seen a few others with this same topic, but you have chosen different books, which is awesome. I definitely need to check out Silver Linings Playbook. Thank you 🙂 I hope that you enjoy them. I love how we picked the same topic and managed to only overlap once. Most of these are on my TBR (if I haven’t already read them) but I hadn’t head of The Shock of the Fall before. It sounds so good! Thanks Bekka! I’m just so pleased there are so many books out there to pick from! Great choice of topic! I’ve only read Speak, but I want to read all of the others now! Yes! I highly recommend them all! What a great idea! I haven’t read any of these, but they sound like compelling stories! I already had most on my TBR and now I’m adding more! Thanks Bruna! I hope you enjoy the ones you do decide to check out. I love books about mental illness! I have only read Speak, but I own Wintergirls and want to read every one on this list. Yay! I hope that you enjoy them Alyssa! HOW have I not read any of these?! I saw Silver Linings Playbook, but I don’t think that counts. I have a few of this on my bookshelf right now though, hoping to get to them soon. I think mental health books are SO important, this is such a fabulous topic choice! Thanks Shannon! I highly recommend these books. They’re all fantastic representations of mental health. It was an incredibly intense read, I can completely understand why you’d feel like it was a hard read! I’m amazed I haven’t read most of these, wow. Nice choice for a list. Thank you! I feel like it’s an important topic! I loved the Silver Linings Playbook movie. I’m not sure if I would like the book as much, but I should check it out. I’m going to try and check out the movie soon! 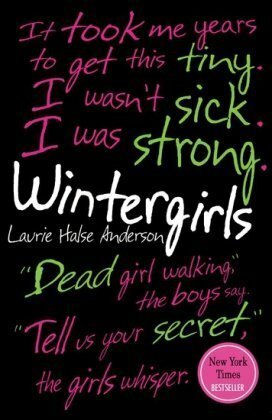 I usually struggle with books that deal with eating disorders, but Wintergirls is one that I’ve considered reading. I’ve heard nothing but positive feedback on it! I hope that you find it to be an interesting read!